﻿ Riad El Maati Rabat. JIMAT di Agoda.com! Sama ada anda melancong atau ke luar kawasan kerana kerja, Riad El Maâti merupakan pilihan penginapan hebat ketika melawat Rabat. Dari sini, tetamu boleh menikmati akses mudah kepada semua yang bandar meriah ini boleh tawarkan. Syurga untuk berehat dan bersantai, hotel ini akan menawarkan pembaharuan penuh hanya beberapa langkah dari pelbagai daya tarikan bandar seperti Masjid Grande, Taman Andalusian, Pusat Pengajian Antara Budaya. Riad El Maâti juga menawarkan banyak kemudahan untuk memperkayakan penginapan anda di Rabat. Pilihan kemudahan kelas atasan seperti meja penyambut tetamu 24-jam, kemudahan bagi tetamu kurang upaya, daftar masuk/daftar keluar ekspres, simpanan bagasi, pemindahan dari/ke lapangan terbang boleh dinikmati di hotel. Semua penginapan bagi tetamu menawarkan kemudahan yang difikirkan dengan teliti bagi memastikan rasa selesa yang sukar ditandingi. Di samping itu, pihak hotel menawarkan aktiviti rekreasi untuk memastikan anda mempunyai perkara untuk dilakukan sepanjang penginapan anda. Apa juga tujuan lawatan, Riad El Maâti merupakan pilihan yang terbaik bagi penginapan anda di Rabat. Great location and simple but elegant place. centrally located, friendly staff, good service! It was very easy from check-in procedures to check-out. Staff attentive and friendly. At the same time you get your own freedom and privacy. The Riad is looked after and it is easy to reach the city attractions. Do not expect a fast internet. Sometime the signals is too weak to get connected. I am sure though they will work on it to make it better! Thanks it was a wonderful experience! What a great find! This Riad was one of our favourites during our travels in Morocco (Marrakech, Ouarzazate, Dades Valley, Merzouga, Fes, Meknes, Rabat, Casablanca). 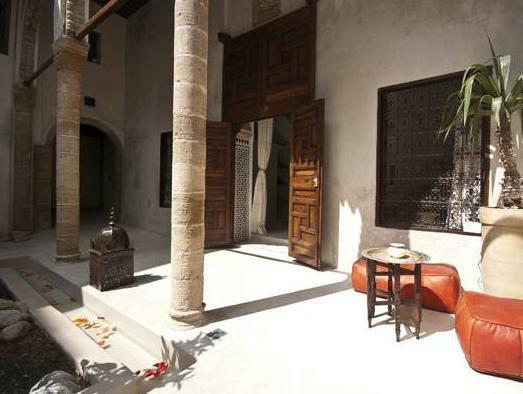 A great combination of traditional Moroccan accommodation and modern/western amenities. We were lucky to have the Riad all to ourselves for one night. One of the few Riads to contact me prior to my stay and provide me with excellent directions on how to reach them. Laurence and Abel were lovely hosts. Due to flight delays, we did not arrive until 1am. Abdel was there to greet us and show us to our room, allowing us to leave the paperwork until the morning. There was even a small plate of pastries in our room on arrival. I've read some criticsm that the rooms are 'dim'. It's true the rooms could use some brighter lighting but they are spacious, comfortable, spotlessly clean and have all the modern amenities you would expect from a decent hotel (nice linen and towels). They even provide ear plugs for the morning call to prayer. The only thing I would suggest is a shower curtain or extended shower screen to prevent the bathroom floor getting wet (this was a common theme throughout Morocco). Very nice bathrooms I should add. All other the staff we encountered were very friendly and the breakfast was very generous with made to order eggs (we didn't speak very good French so ordered omelettes each day!). 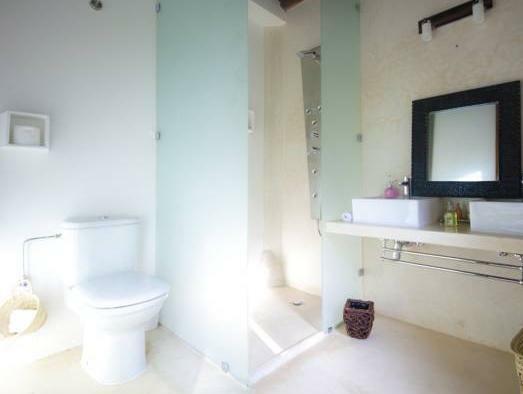 The location is great, close to the souks and markets. Walking distance to almost everything and a welcome retreat after a day of site seeing. Well deserved ranking as one of the top Riads in Rabat. 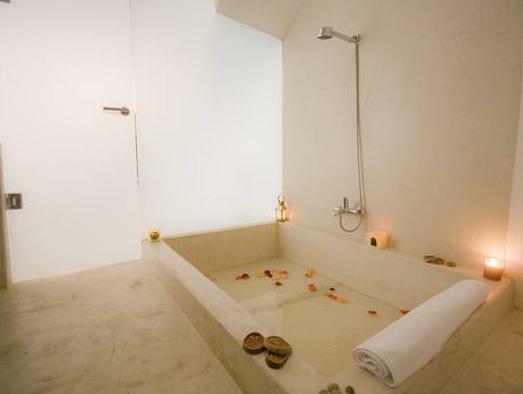 If my partner and I were to visit Rabat again, we would surely stay again at El Maati. Thanks for a wonderful stay! Bereits vor der Ankunft wurde uns eine Wegbeschreibung zugesendet, die es uns erleichtert hat, das Riad zu finden. Unser Zimmer hatte eine unglaublich hohe Decke und der Innenhof ist schön dekoriert. Vor dem Riad brummt das Leben, im Riad selbst bekommt man davon allerdings wenig weg. Die Kasbah von Rabat ist fußläufig schnell erreichbar. Nous avons passe 4 nuits dans ce Riad et tout c'est parfaitement deroule. Le riad est a 5-10 min de marche de la porte Bab Chellah, les rues pour y acceder sont tres animees mais le riad est lui dans une ruelle tres calme. Seule chose a prendre en compte, vous serez entoures de mosquees et des appels a la priere qui vont avec. Le riad est tres propre, tout marche (il faut juste etre un peu patient pour l'eau chaude mais rien de bien grave), le personnel est aux petits soins et le petit dejeuner est tres bon. En conclusion, cet hotel est vraiment bien.